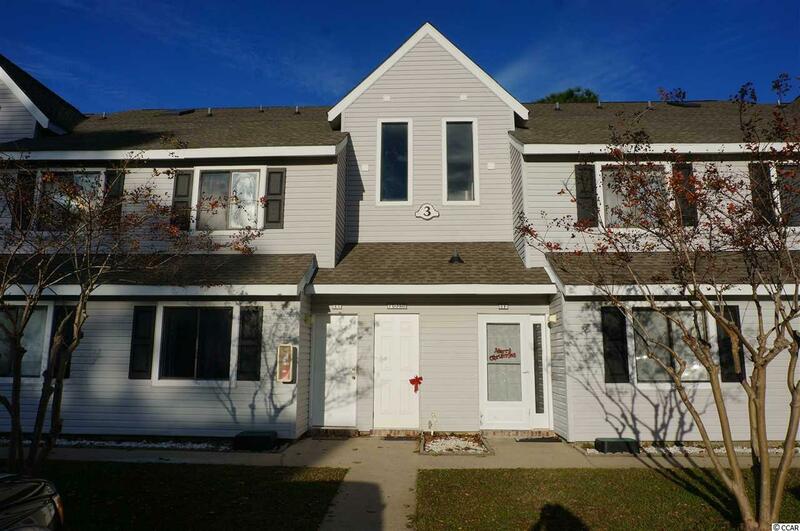 Newly remodeled, spacious efficiency unit on the top floor in the Island Green Golf Course Community! Freshly painting ceilings/walls, newly built staircase, new handrail, and updated light fixtures and fan! This beautiful community is zoned for vacation rentals or annual rentals, so whether you want to make this a home for yourself or have a monthly income as an investor, this unit is the best of both worlds. All furniture and appliances pictured are included in the sale of this unit excluding the dining room table set and the circle chair in the living area. Directions: If You're Driving On Hwy 17, South Or North, Turn Onto Holmestown Road, Then Take A Right Onto 707. You're Turn Left On Bays Road, Then Another Left Onto Freewoods Road Then A Right Onto Sunnehanna Dr. As You're Driving Through Island Green, Fairway Village Will Be On Your Right. Travel Down Pinehurst Lane And The Unit's Building Will Be On Your Right.